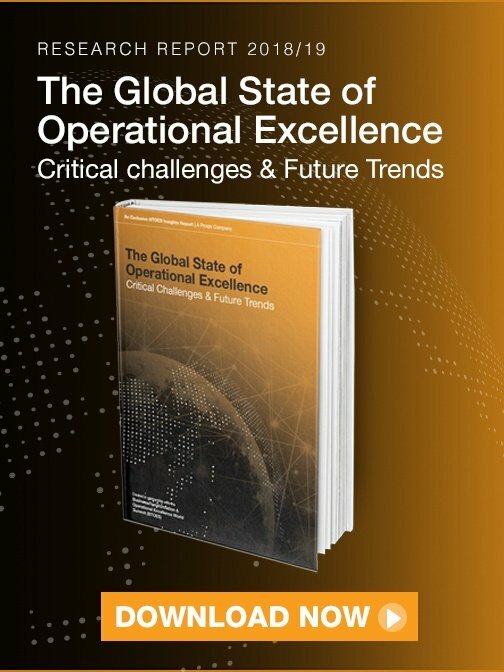 Global research shows: over 75% of organizations have started their digital transformation  to achieve new levels of operational excellence and customer experience. They plan to use digital solutions to meet their goals and enable values like agility, innovation, compliance and with all that profitable growth. 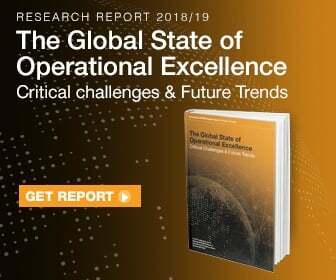 However, the study also shows that most organizations are struggling meeting the high expectations through their digitalization projects and programs. According to another study only 1% of organizations have their business processes sufficiently under control to realize the full business potential of their digital transformation activities . 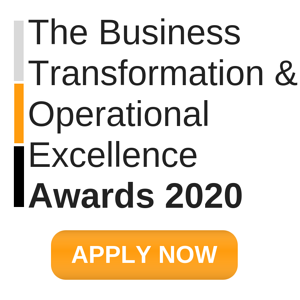 That’s where business process management (BPM) becomes the enabler of real business value and operational excellence through digitalization. Process management has a long history, especially in industrial companies. It started with the development of routings and related bills of material to keep capital intensive production processes on track. The next generation of BPM added more sophisticated tools for quality and efficiency management, like Six Sigma or Lean approaches. Process management also became more and more popular in administrative areas and service industries. In a third phase information technology started to enhance process management by applying tools like process automation engines or process repositories. 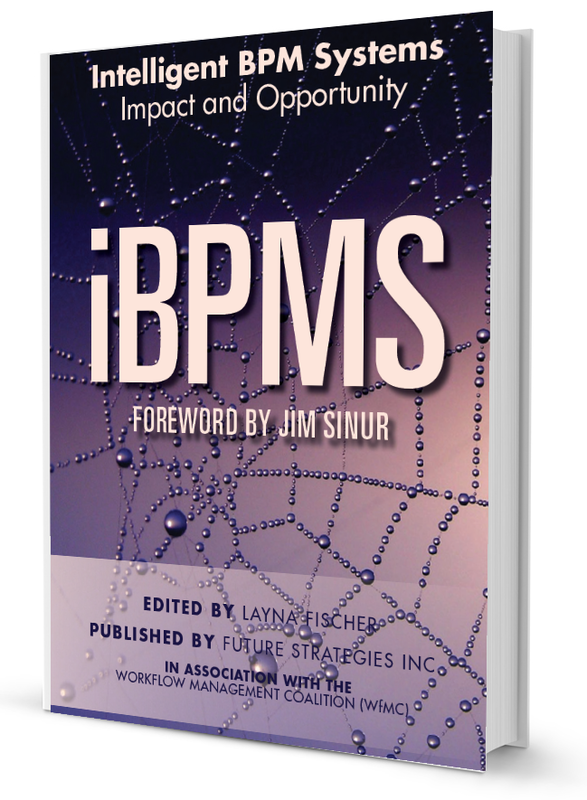 BPM started to become a value-driven management discipline for strategy execution across the organization. Now we see the next upshift, leading to BPM 4.0, leveraging the power of the internet and related digital solutions to enhance process management. 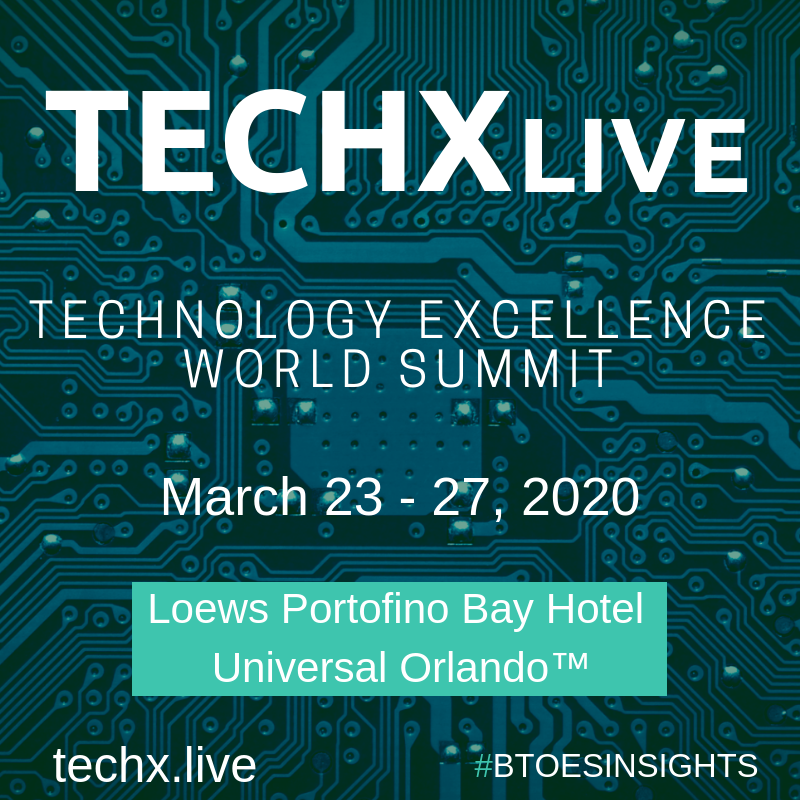 The use of technologies, such as robotic process automation (RPA), blockchain, or connecting physical products through the internet with digital tools can deliver significant competitive advantage – if used properly. BPM 4.0 provides the required management approach as part of the “enterprise 4.0” . It minimizes time and risk of digital transformations by leveraging digital solutions itself. BPM 4.0 helps to focus on the processes that matter most for an organization so that transformation activities can be prioritized accordingly. It helps to transform those processes in an intelligent way leveraging the opportunities of digitalization where appropriate, and sustain transformation results by governing related business processes accordingly. BPM 4.0 is a management discipline that enables a truly value-driven digital transformation, delivering fast results at minimal risk . 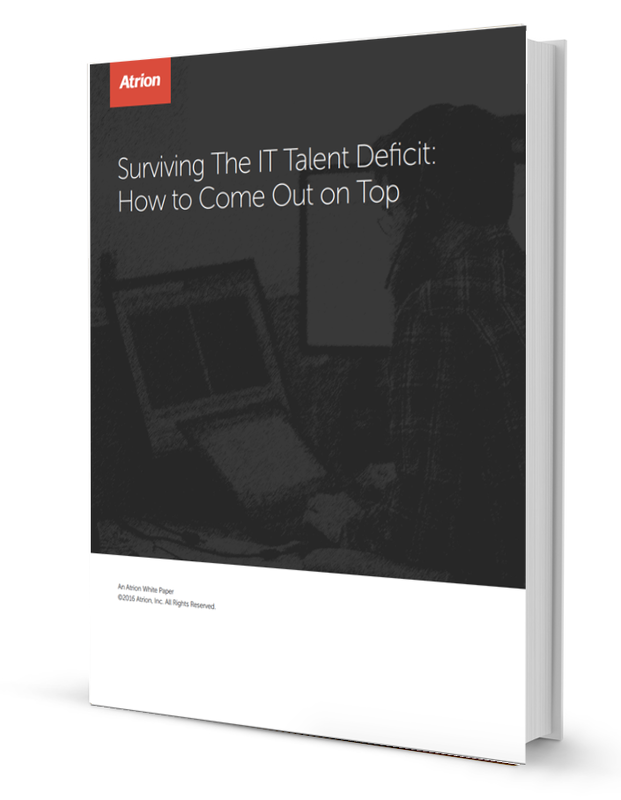 Companies only compete through 15-20% of their business processes . 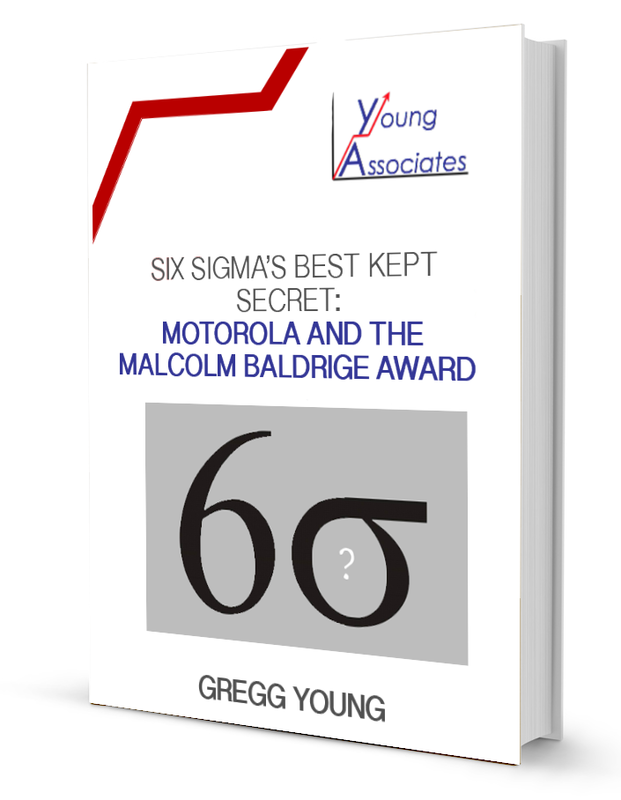 The other 80%+ are commodity processes that are necessary, but their performance can be at industry average. Applying common industry practices for those processes is sufficient. Sophisticated digital innovation initiatives don’t pay off. 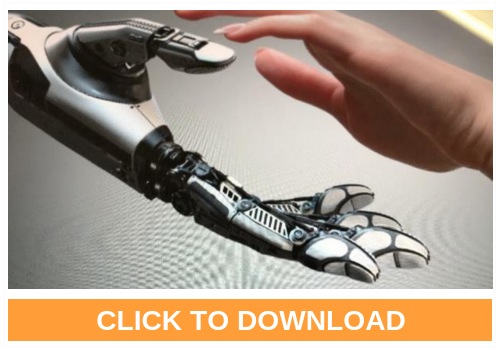 Digital tools mainly serve to achieve average efficiency. This is different for high impact processes. For those processes, more elaborated transformation approaches are justified and often required. Related projects have in general a higher priority for an organization. The challenge many companies face is that they don’t know what their high impact processes are. The discipline of BPM 4.0 helps identify those and set an appropriate focus of digital transformation initiatives. High impact processes can be identified through a systematic assessment of the impact of each process on the business strategy and related goals, represented through appropriate value-drivers. Value-drivers describe what an organization needs to get right to make its goals happen. 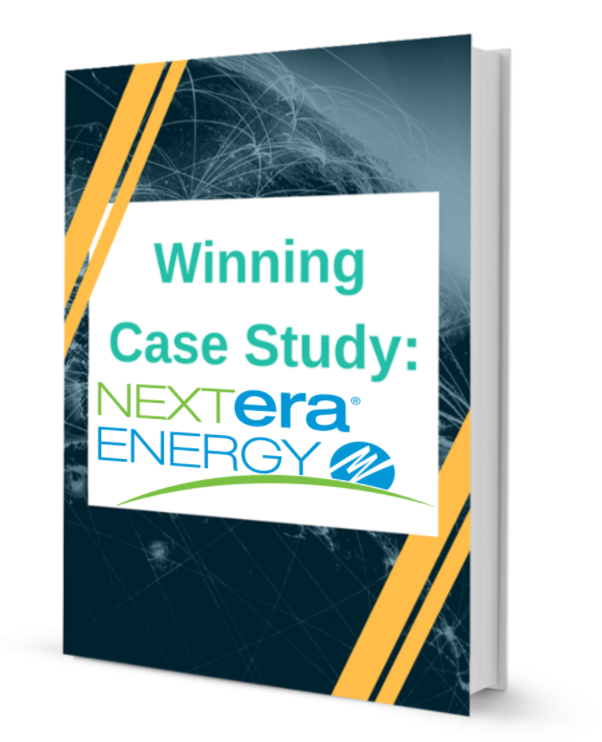 A process impact assessment allowed, for example, a major utility company to recognize that they spent over 95% of their budget on commodity processes. A shift of transformation initiatives to high impact processes resulted in significantly higher impacts. 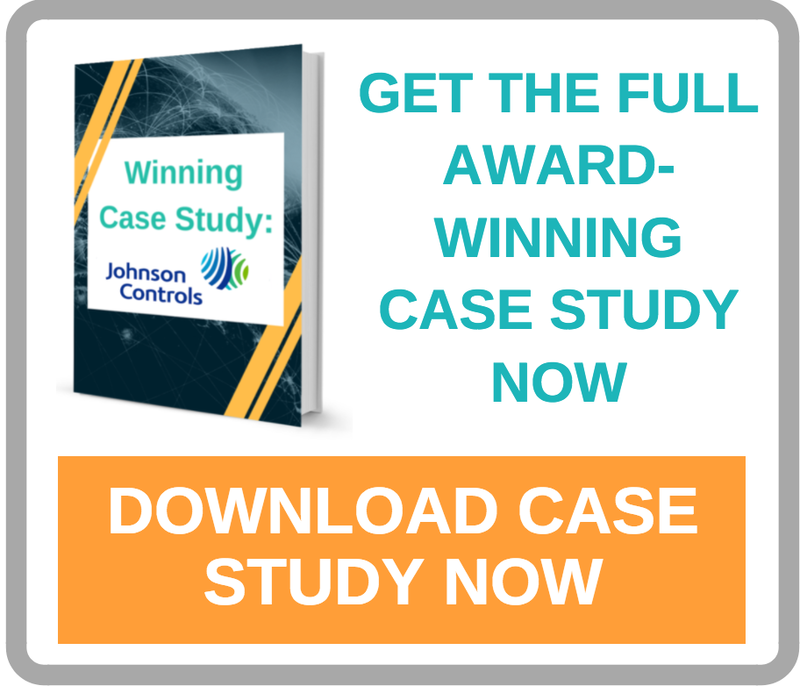 A biologics company used such a process impact assessment to identify where they have to launch new transformation projects to reduce overall cost while increasing simultaneously customer service and innovation. Since the business environment and the strategy of an organization changes much faster than in the past, it is necessary to adjust a process impact assessment frequently and compare different scenarios. This is where new digital process impact assessment tools help. These tools can be accessed through the cloud minimizing cost and effort for a process impact assessment . Figure 1 shows a process impact assessment matrix linking processes to value- drivers. Adjusting the weights of value-drivers or adding or removing drivers allow for the comparison of different scenarios reflecting different business situations and strategies. For each scenario, the high impact processes are identified. Transformation projects are defined and prioritized based on the impact of the involved processes and their overall impact on the goals of the company. The prioritization of projects changes with changing value-drivers. This provides transparency over the impact of projects which often touch not just one, but several business processes. The resulting dynamic project portfolio management allows to deliver most value through process digital transformations  and adjust the project portfolio based on changing company and market requirements. This is the foundation of the BPM 4.0 as enabler of value-driven digital transformation delivering the right operational excellence. Digital transformation require a careful selection of the right digital tools and the right way of touching existing processes, replacing them or adding new ones. Business processes are not equal. Different processes require different approaches. Customer facing processes, for example, may require techniques like customer journey planning combined with design thinking methods. High cost transactional processes are often best improved through appropriate digital automation, for example robotic process automation (RPA) . Inter-enterprise processes are starting to be handled using Blockchain technologies to simplify control and auditing activities. These are just a few examples for different transformation approaches. 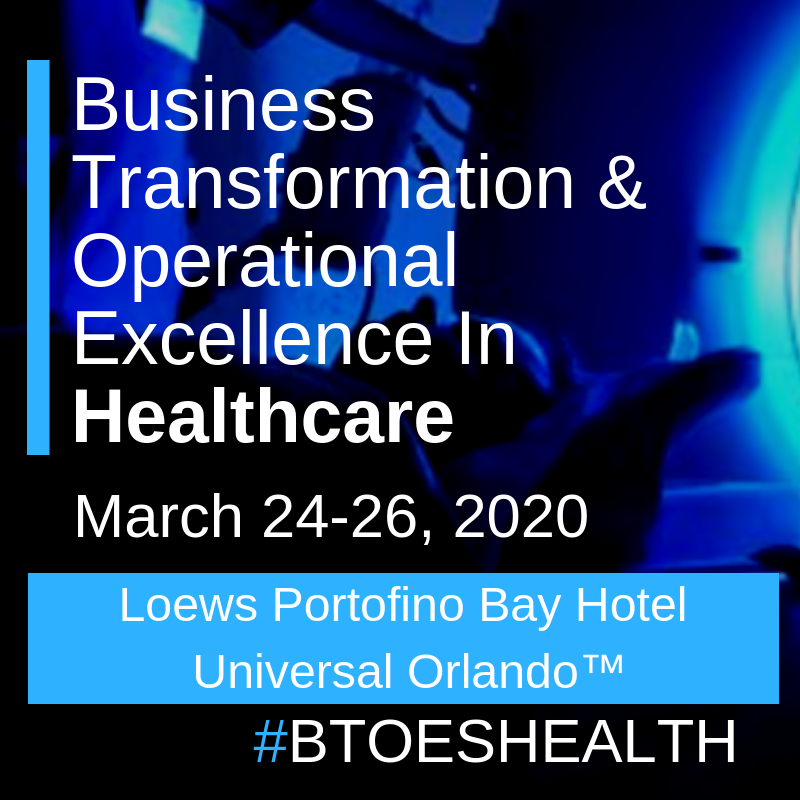 A key task of BPM 4.0 is to examine a process to identify the right approaches and combine short term results with the desired larger transformational changes that in most cases need some more time. that nobody had foreseen, and cost reduction effects were much lower than expected. 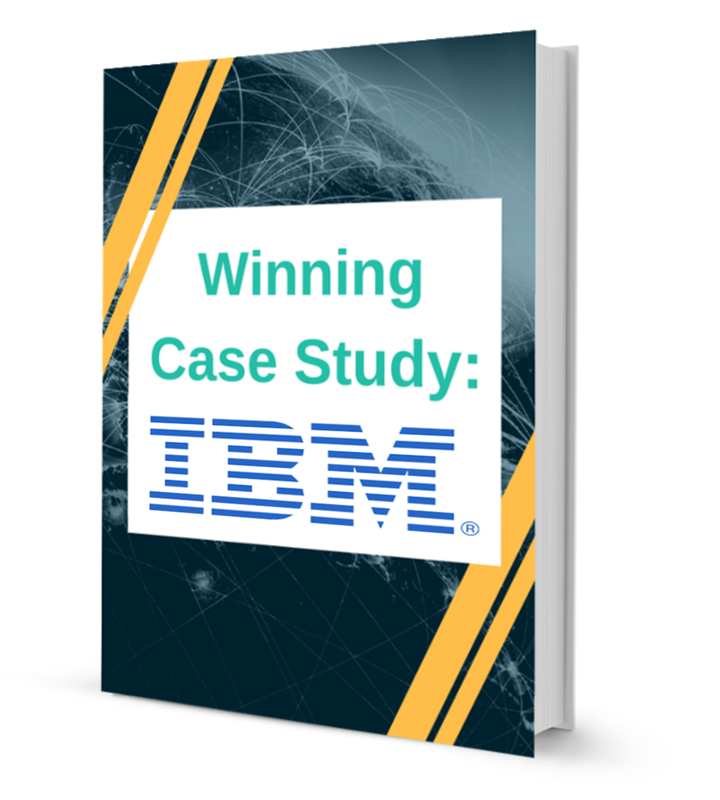 Hence, the organization decided to analyze their end-to-end processes more carefully to understand better how to transform them to achieve real business value . However, a traditional process analysis approach may take too much time for the fast changing digital world. Rapid transformation and improvement techniques are required. Those approaches use agile principles to identify smaller improvement opportunities quickly and collect enough information about the process to decide effectively on larger transformational changes and the related digital technologies. Looking simultaneously on processes, people, and technology options and using agile thinking to come up with incremental benefit scenarios leads to a truly value- driven transformation. 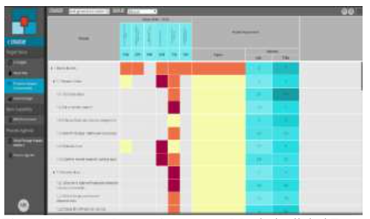 Such a rapid transformation and improvement approach is supported in BPM 4.0 through cloud-based process modelling and repository tools and different process mining techniques. Modelling methods, like the business process modelling notation (BPMN), support the effective use of those tools . This is another core component of the Discipline of BPM 4.0. It supports the systematic value-driven selection and use of digital technologies – where this makes really sense for a successful transformation to achieve operational excellence and superior customer experience. To sustain transformation results and keep the related business processes on track, an appropriate process governance approach is required. It needs to be clear how the performance of a process and the success of a digital transformation is measured. Required responsibilities and accountabilities need to be defined . Process-owners, for example, have to initiate new transformation initiatives or correction activities when appropriate because of changing business conditions or insufficient outcomes of previous transformation projects. Process stewards provide the arms and legs for the owners to enable the execution of activities. Process sponsors and appropriate governance bodies set the direction and resolve conflicts, e.g. with functional leads of the organization or between business and IT team members. 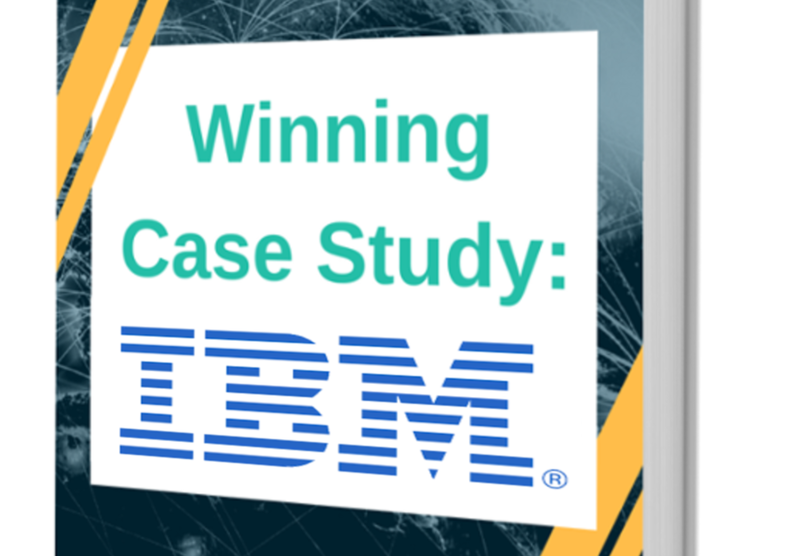 A financial organization, for example, went through a major digital transformation with sophisticated process automation. 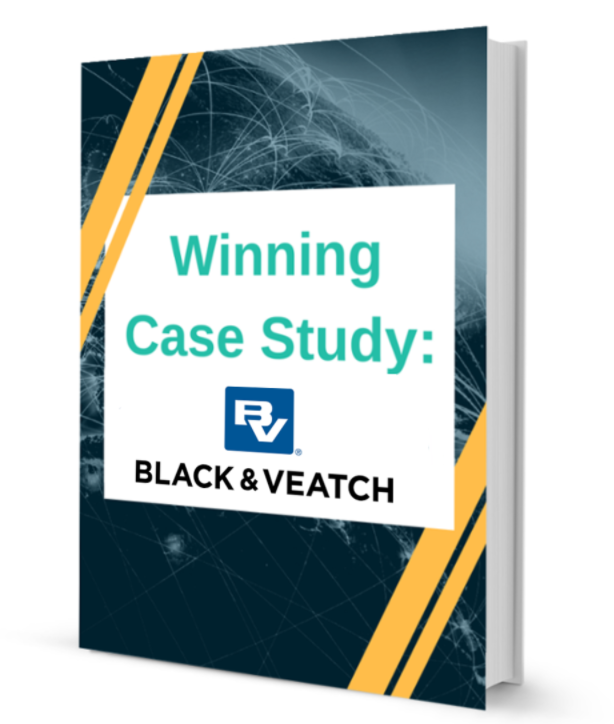 Their goal was to increase agility while maintaining the required legal compliance. However, when initial change requests for processes and underlying technology came up, it turned out that the required agility was not that easy to achieve. Changes in one functional unit often have impacts in other areas. Hence, the traditional functional management and governance structure did not work to take decisions with best results for the overall organization. Process governance is required, delivered through BPM 4.0 as “value-network” across the traditional functional organization. The process organization does not replace the functional organization but enables cross-functional thinking and acting when necessary. In the digital age this enterprise-wide view is critical to realize the full potential of digital transformations. To give members of the process governance organization the necessary visibility into business processes, the use of process repositories, if possible combined with process mining tools, is a key enabler . These digital tools have become key enablers of an effective cross-functional process governance, driving value from digital transformations. Figure 2 shows an example of a simple process governance organization used in a health research organization. Once a transformation project is finished, the expected business results are often not fully achieved since this requires some time, for example to reduce stock levels. However, it is important to manage this value-realization carefully and control the new processes pragmatically. 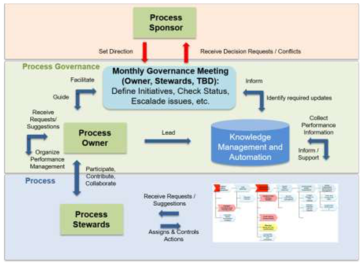 This is a task of the process governance organization. Digital tools for integrated control management can help here, in conjunction with the transparency that process repositories provide . BPM 4.0 is a key enabler of ongoing digital transformation initiatives enabling operational excellence and superior customer experience. It has become a real management discipline, just as human resources (HR) or finance. Hence, it also needs to be implemented accordingly. HR, for example, is implemented through processes like payroll, hire-to-retire, promotion process, training process, etc. 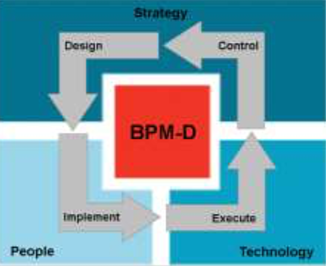 The discipline of BPM 4.0 is realized through the process of process management (PoPM) . 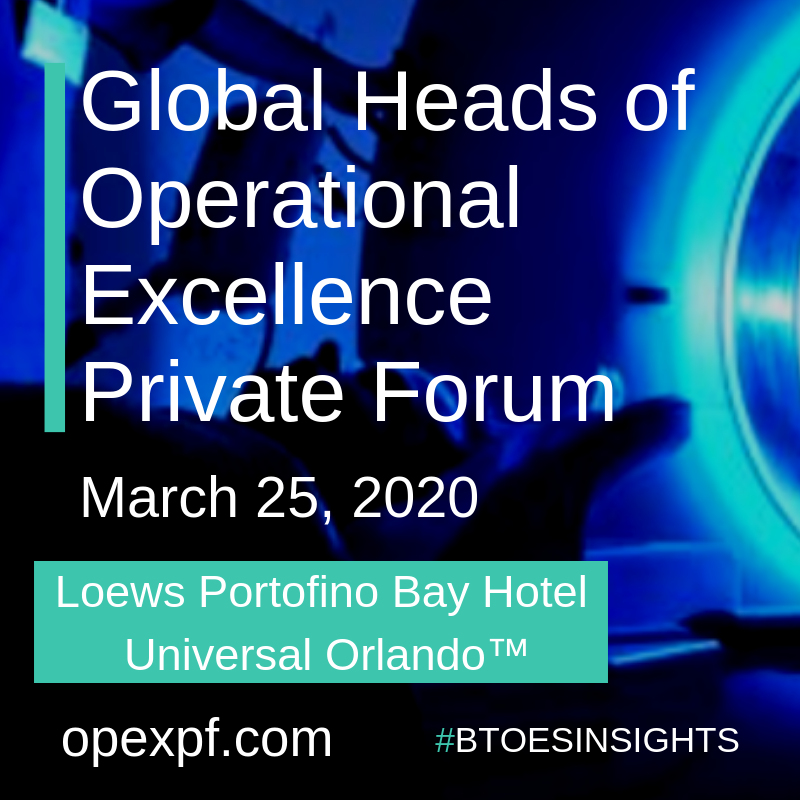 This PoPM is owned by a Chief Process Officer (CPO)  (or a top executive with a similar title) who organizes the BPM-Discipline, just as another process owner organizes, e.g. the order-to-delivery process. Related BPM 4.0 sub-processes have to be established, for example to identify process transformation and improvement initiatives, deliver resulting projects or provide the required process governance. 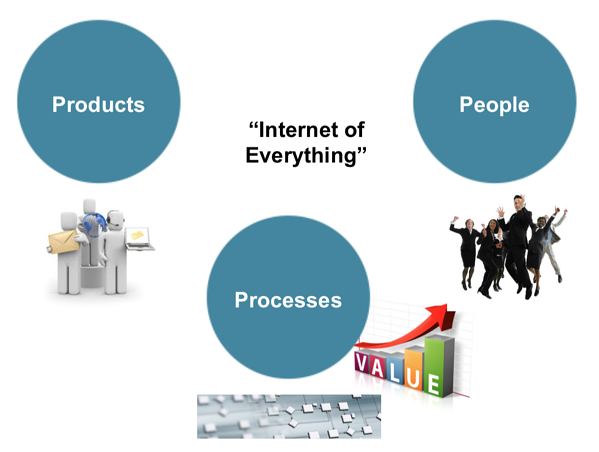 Organizations use BPM 4.0 principles and apply them to BPM itself. However, there is not one set of PoPM processes that fits every organization. The PoPM needs to fit in the context of a specific organization and provide appropriate capabilities the the specific digital transformation journey. The BPM-Discipline supports the entire lifecycle of a business process: design, implementation, execution and control of the process. Through this lifecycle it moves strategy into people and technology based execution, minimizing necessary time and risk. It leverages digital technologies for digital enterprise transformations and for a streamlined process management, hence for the PoPM itself. However, the discipline of BPM 4.0 is not just about digital technologies but about aligning strategy, process, people and digital capabilities. This functioning of the BPM-Discipline is illustrated in the BPM-D Framework, shown in figure 3 . A process management discipline is especially important in the digital age. Since many information technology components are moved to the cloud, business processes become the main asset that stays in the organization. It is crucial to manage and leverage those assets effectively to achieve competitive advantage and enable value-driven digital transformations. BPM 4.0 is not just nice to have but becomes necessary for a company to achieve high performance – or even just to survive. Digital and often cloud-based BPM maturity assessment tools help to define required capabilities and identify capability gaps. These gaps can then be systematically closed in the context of transformation initiatives. Hence, an organization builds a capability and applies it right away to create best value . 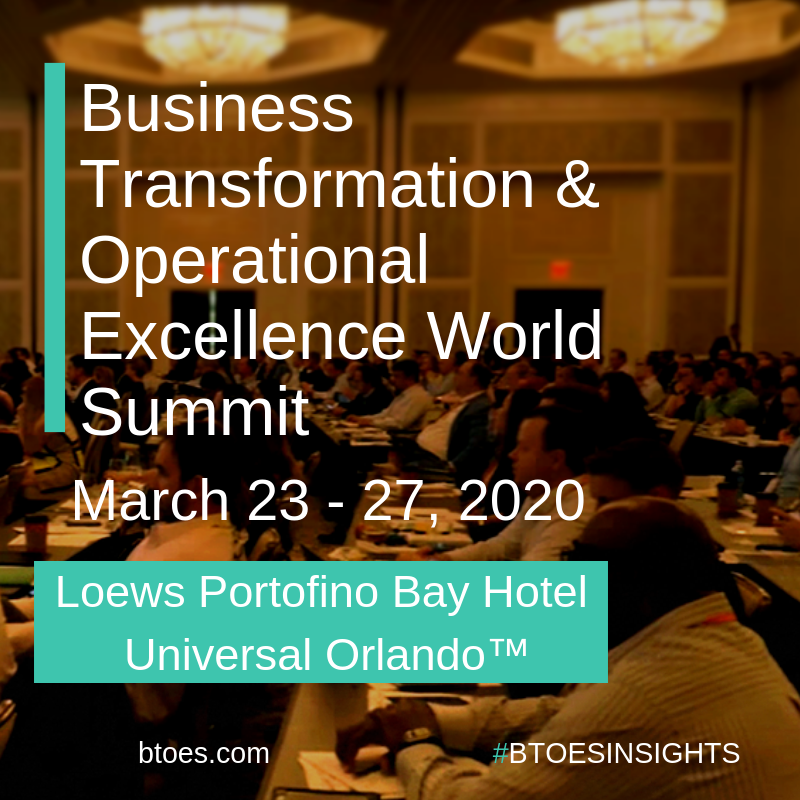 The discipline of BPM 4.0 becomes the value-switch for the digital transformations, enabling fast results at minimal risk, leading to sustainable operational excellence and superior customer experience. BPM-D is an innovative and reliable business partner that enables organizations to increase performance and productivity through cross-functional business and information technology initiatives – fast and at low risk. It also supports organizations to select and manage other consulting partners, especially for larger process-led transformations. They help define and balance the roles of the internal BPM-Discipline and the externally acquired services to ensure that programs deliver immediate improvement and a sustainable ability to realize the value from the related change. 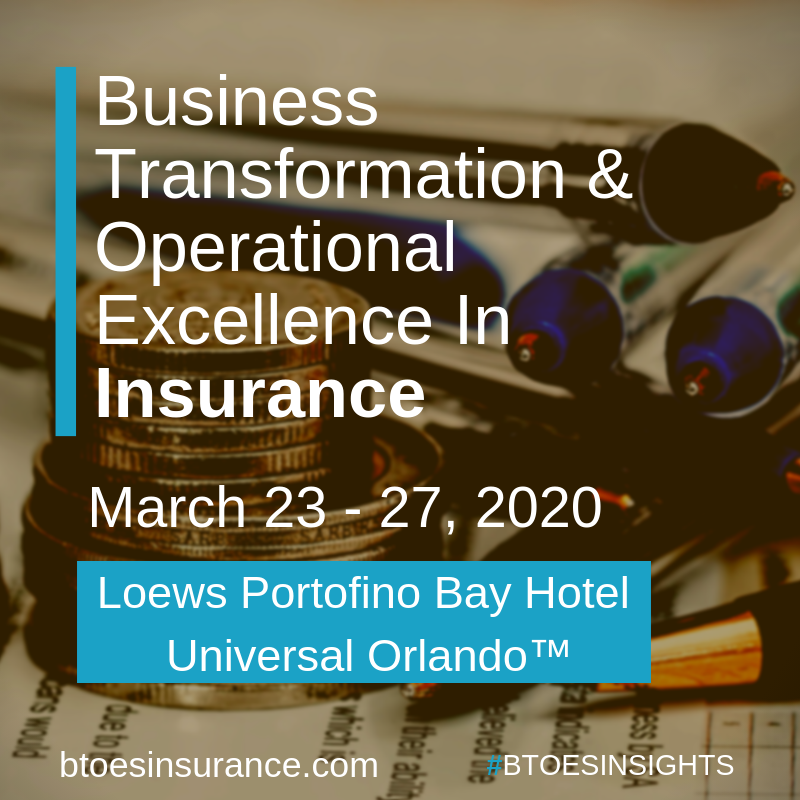 WHat is more, it has had considerable benefits with operational excellence since they embarked on this journey several years ago, but how have they sustained this in the organization? 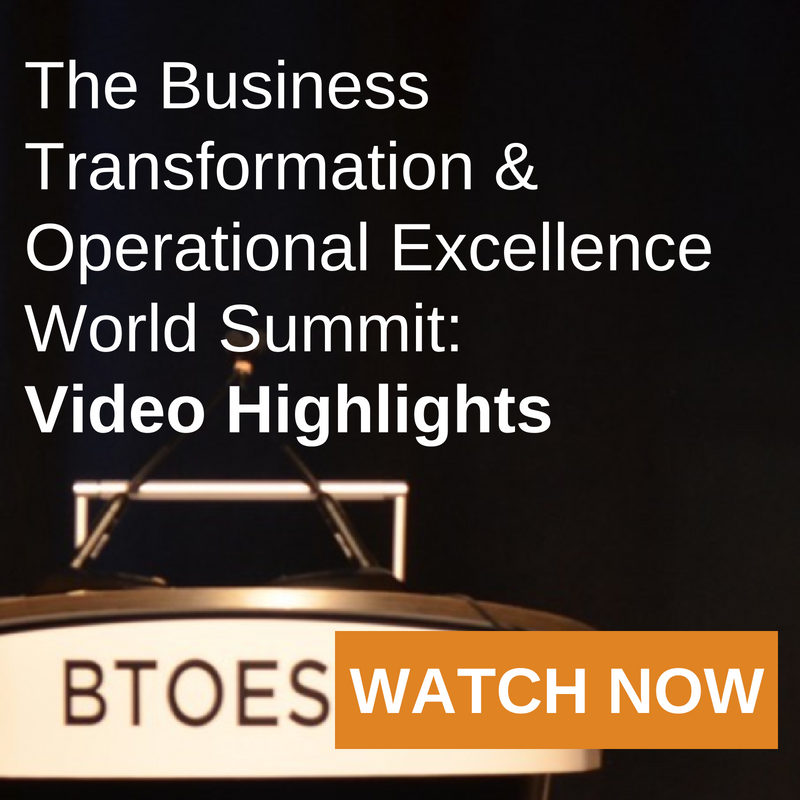 Download this slide deck to see Dr. Mathias Kirchmer discuss their journey of Digital Transformation and Operational Excellence. 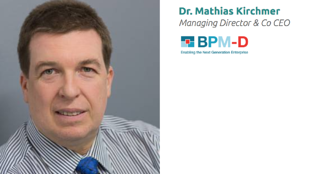 Dr. Mathias Kirchmer, Managing Director and Co-Chief Executive Officer of BPM-D, is a visionary leader, thought leader and innovator in the field of Business Process Management (BPM), combining his broad practical business experience with his extensive academic research. He has added significant value to organizations of various sizes and industries in an international environment. Dr. Kirchmer co-founded BPM-D, a company focused on establishing and applying the BPM-Discipline for strategy execution in a digital world. BPM-D was named by CIO Review one of the 20 Enterprise Architecture solution providers to watch and by InsightsSuccess one of the 50 most valuable Tech Start-ups in the US. 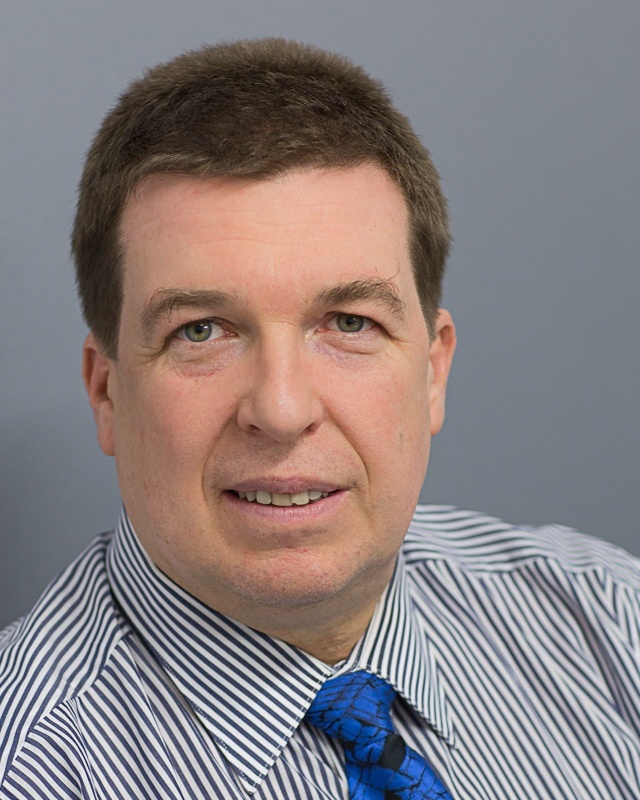 Before he was Accenture’s Managing Director & Global Lead for BPM and CEO of the Americas & Japan for IDS Scheer, best known for its ARIS software. 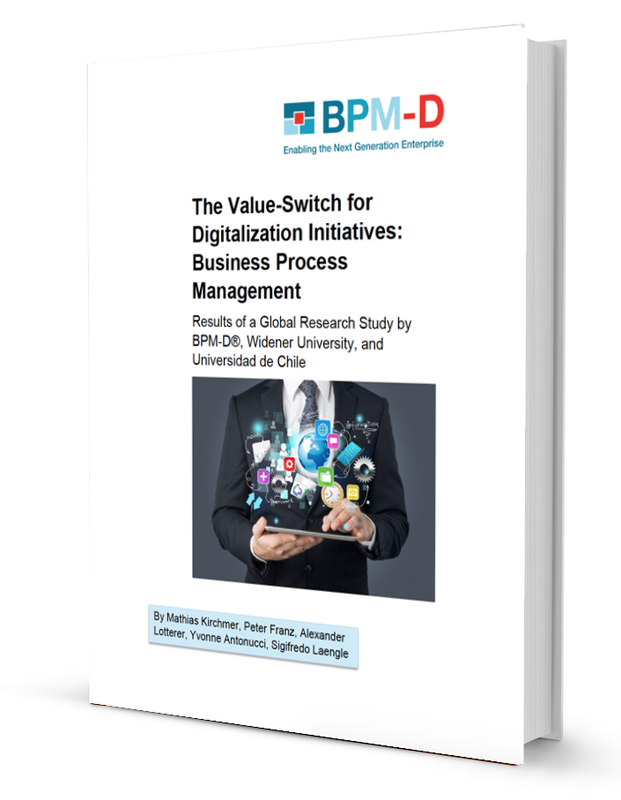 Kirchmer, M., Franz, P., Lotterer, A., Antonucci, Y., Laengle, S.: The Value-Switch for Digitalisation Initiatives: Business Process Management. BPM-D Whitepaper, Philadelphia – London, 2016. Cantara, M:. Start up your Business Process Competency Center. 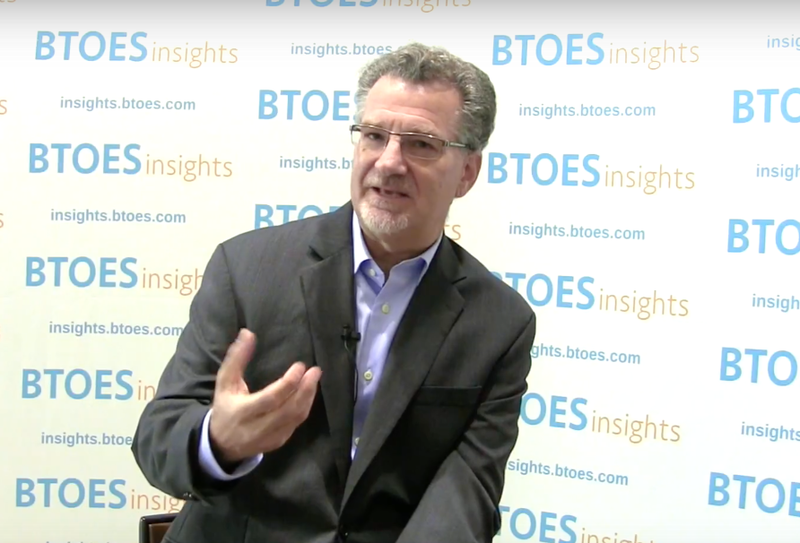 In: Documentation of The Gartner Business Process Management Summit, National Harbor, 2015. 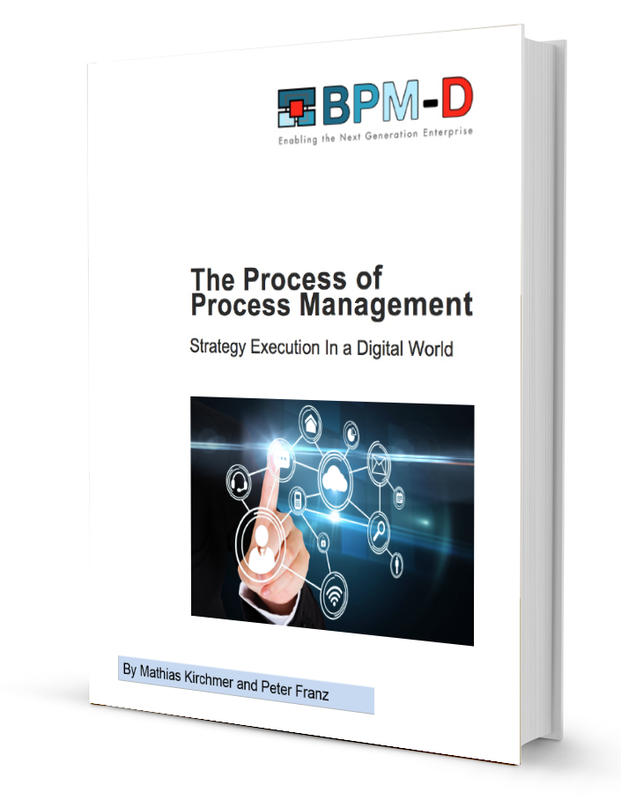 Franz, P., Kirchmer, M.: Value-Driven Business Process Management: The Value-Switch for Lasting Competitive Advantage. 1st ed., McGraw-Hill, New York 2012.
on Business Modelling and Software Design, Vienna, 02-04 July 2018.
edition, New York, Berlin, e.a. 2017. Fifth International Symposium on Business Modelling and Software Design, Milano, 2015. Kirchmer, M., Franz, P.: Chief Process Officer – The Value Scout. BPM-D Whitepaper, Philadelphia, London, 2014. Scheer Institute for Digital Products and Processes, Saarbruecken, Germany, 2017. Scheer, A.-W.: Unternehmung 4.0 – Vom disruptiven Geschaeftsmodell zur Automatisierung der Geschaeftsprozesse.